Realtors, looking for extra money? 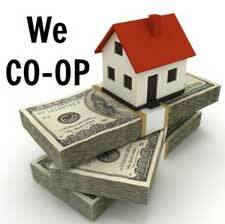 Earn 15% Co-Op Upfront On All Lease Option To Purchase Homes!! Have you been showing properties to buyers that can't get approved? Instead of losing your client turn them into MONEY!!! * We offer a large selection of homes in Shelby County and North Mississippi. * Your clients can apply online. Select "view details" on a property & then click "apply now". *Visit the availabe homes page on this site, or call 901-444-3735 for showing instructions.